It’s crazy to think that a girl like me had the opportunity to travel all the way from Sioux Falls, South Dakota, to see the magnificent Murchison Falls in Uganda. Even stranger is the fact that someplace across the world could remind me so much of home. We went at the perfect time. Earlier in the day we had taken a boat cruise down the Nile toward the bottom of Murchison Falls. Now it was evening and the sun was barely as high as the mountainous terrain. The sky was starting to fill out with dark clouds – threatening a perfect African sunset. I was terrified. Yes, terrified because of the tsetse flies (which conveniently inhabit a large portion of mid-continental Africa and carry various nasty tropical diseases) swarming our bus on our trek to the top of Murchison Falls. And if the fact that these things carry less than desirable diseases wasn’t enough to scare you, they were conveniently immune to any amount of bug spray I had been careful enough to douse myself in. 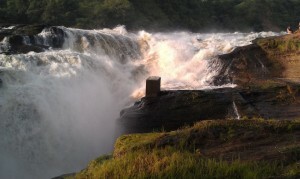 But clearly Murchison Falls was worth the threat of disease. 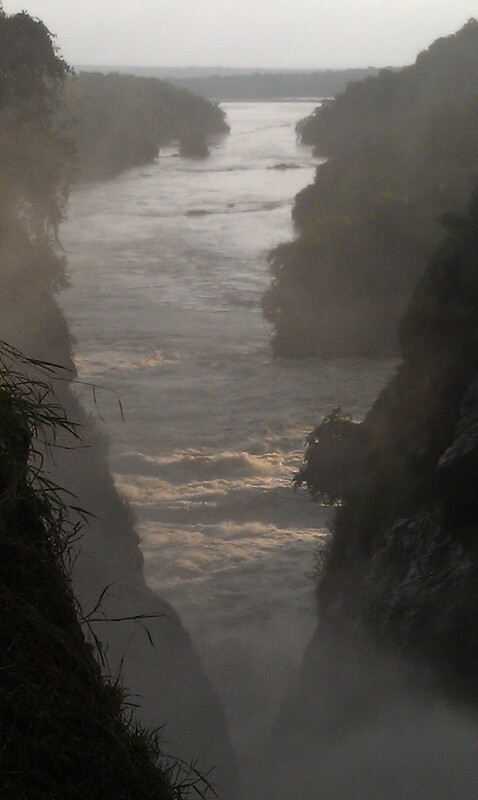 Lucky for us, the tsetse flies weren’t too fond of the misty air surrounding the rapids. And the view — indescribably beautiful. And if the mist from the falls wasn’t enough to keep the tsetse flies away, the rain that came down shortly after our arrival at the top of the falls was sufficient. It was the perfect set-up for the perfect picture of how ironically beautiful a place can be even after not too distant parts of the country had seen years of violent war, hunger, poverty and death. It’s weird to think that our journey in this country is almost over. But even though we may be going home, a part of us will always be here and with these people. 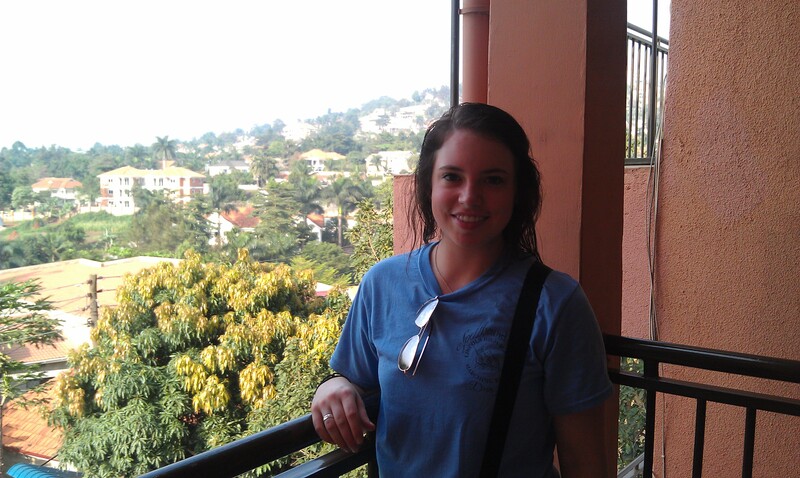 I find it hard to believe we are going home when I’m still trying to wrap my mind around the fact that I’m in Uganda. My hope is that I remember this place and these people every single day. It’s easy to get sucked back into your comfort zone. And I know these people will never forget us – not just because some of them had never seen a white person, but because to them we have everything in the world. We have things that they may only ever dream about. Several people stopped alongside our bus to talk to us when we were stopped. The interesting part about that was they all seemed to have a similar view of what America is like – a place where everyone has billions of dollars, unlimited funds, a place where no one is buried because no one dies, a place where everyone lives and a place where jobs are abundant. Even at the villages, schools, and churches the people would tell us what projects they are working on and explain to us the fact that the only thing keeping them from getting the things they need and keeping them from moving forward is money. They would essentially be asking us for money, which sometimes we would have a donation prepared to give them. But even after giving them something, they would say thank you, don’t forget about us, and please remember to come back again and check on our progress (and give us more money). It certainly made me feel guilty in the sense that I know I have been given a lot in this world, but I can’t give these people everything they need. To them, we can do anything in the world, but the reality even our group has limits. 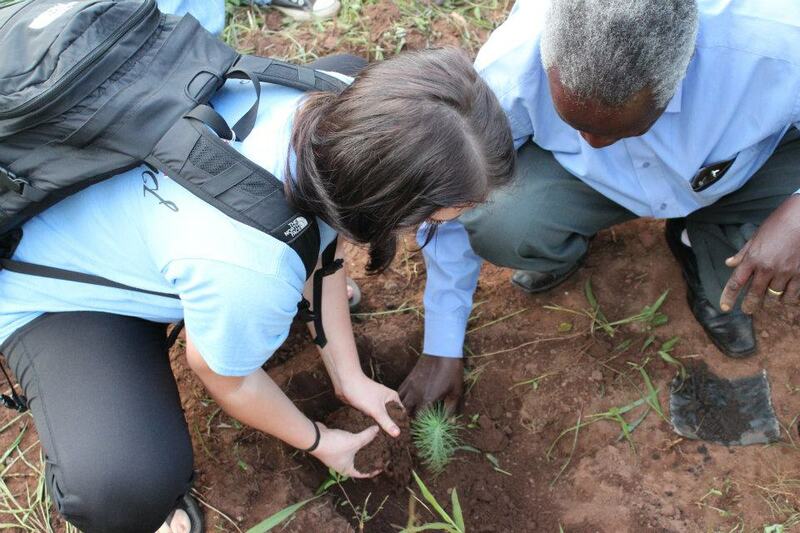 If there were no limits to what we could do, I’m certain we would give them the world – everything they need and more. Giraffe sighting on the game drive. Carol asked me how big the giraffe exhibit is at the zoo in Omaha. My immediate response was to tell her that it was small – but I’m pretty sure it’s because I had just seen about 50 giraffes roaming freely on the vast African savannah (and I’m pretty sure my jaw was wide open the entire time). I had been looking forward to seeing the giraffes on this trip – to me there is just something so majestic about these tall creatures. But make no mistake, just because they are gentle and don’t have a voice box doesn’t mean that they’ll go down without a fight. Our safari guide told us that it would take a pack of 7-10 lions to take down a single giraffe. Not only was it a treat to see giraffes, elephants, waterbuffalo and other wildlife, we were also lucky enough to witness a leopard (yep, you read that right) take down its prey. Seeing a lion is pretty rare on a safari, so seeing a leopard – that’s one in a million. I’m pretty sure that in any other situation, it’s advised to stay away from wild leopards. But when you are on a safari, in a huge blue bus, it’s clearly expected to do some off-roading and head straight toward the leopard. It’s a good thing it already had its dinner in its mouth. How great is our God, how great is our God. 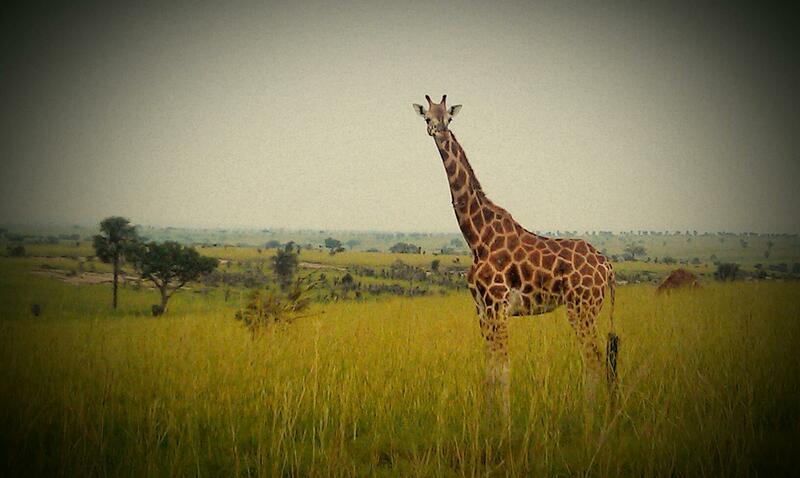 Murchison Falls, Uganda. One of the largest waterfalls in Uganda. I’m going to go ahead and say that most people in the United States have the privilege of watching their children grow and mature successfully into adulthood. Likewise, most children in the United States have the opportunity to learn from and have a relationship with their parents. 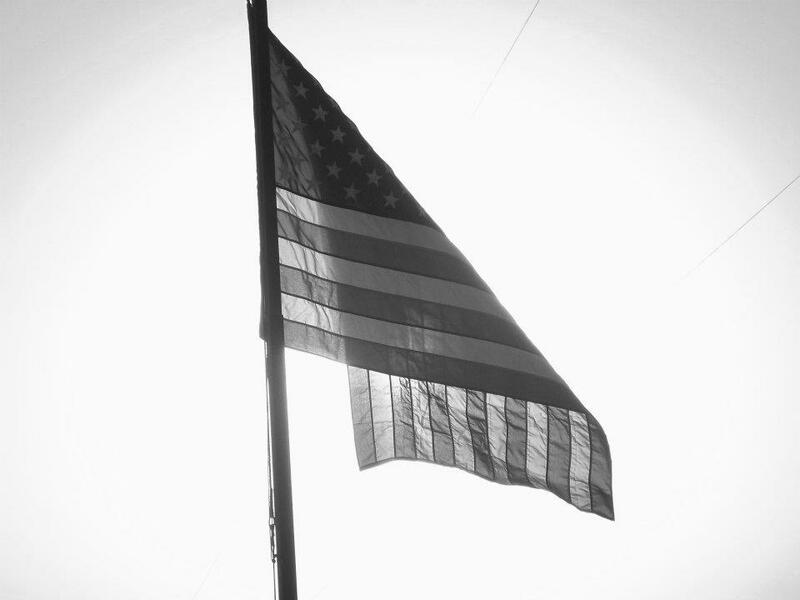 The bottom line is that life expectancy is significantly higher in the United States. When I set out on this journey (and what a journey it has been), I had no idea what to expect and left with my mind open to learning things that never even crossed my mind. I definitely thought I would go back home with a profound sense of how incredibly lucky I am. 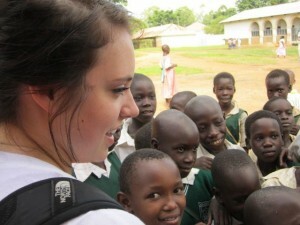 I’m pretty sure it’s clear to everyone who visits the developing world for the first time how truly lucky they are. But what I didn’t expect, was to go home feeling angry. Obviously there are things in life that I cannot change. But these people, they lose many of their children to war and disease. These people lose their children before even having the chance to get to know them, much less be proud of them. Even as I look around the city and in the villages an age gap is definitely visible. Hardly anyone is my age, and if there are, there are very few. For these people, it’s not that they just lose a family member when a child dies – they lose everything because family is all they have. It angers me to think that there are parents in the United States, who have the world at their fingertips compared to Ugandans, that consciously make the decision every single day to ignore their children and do absolutely nothing to help them succeed. I’ve been told that losing a child is one of the worst things in the world. I can’t imagine how much worse it is for the billions of people in Uganda who lose their children when their children are literally all they have. So how does someone in the United States, someone who has everything, deny themselves one of the greatest gifts the world has to offer? How does someone reject a choice that half the people on this planet don’t even have? Trying to capture video at Abia -- get swarmed by kids. We went to Abia again today to get more interviews but ended up watching at least a dozen more performances before we finally got to do them. Both of the people we interviewed were teachers and talked about why they sing and dance. They also talked about the war. The woman we interviewed today told us, in quite a good amount of detail, about how 17 members of her family were killed by the LRA. Hearing that she witnessed that event and narrowly escaped very different from reading about a victim’s recollection. You can see it in their eyes, you can see them remembering it as they tell you. It becomes so real. But that’s why these people sing and dance and listen to music on the radio. It’s the best way they know how to deal with such traumatizing events. It was more apparent today after the interviews how differently these people experience and deal with death. Americans see it as a loss, but Ugandans see it as God’s plan; and that being sad about it is like saying you don’t agree with God’s plan. They recognize that it happens and that death is just a part of life, so they sing, dance, celebrate and remember a life well-lived even though it is still painful for them. Every February they have memory services for the people who were killed in the war or abducted and never seen again. I think it makes it easier for them to accept death since they experience it more often and have found a way to channel their grief in a more positive way. After visiting the Ave Maria school in Lira, and hearing the students there sing, I think I felt more comfortable than anything else. Most people feel overwhelmed when witnessing a welcome and presentation like that, but for me, I was more excited than anything else. This trip is all about the music so I tried to focus more on that than on the fact that at least one third of the students were infected with HIV and may not be alive for much longer. So, why not be a part of making it one of the best days of their lives? Music is more than just making noise with instruments, voice or dance. It’s emotional, powerful and deep. And for me it was a connection; it broke down the barrier between our worlds. I mean, obviously I can’t even begin to imagine or comprehend the trauma they have been through, but I think these people always search for the best in everything. Not an ounce of negative energy could be felt from these students – at least when we were there. I think, more than anything, that they just wanted to share their world with us. And since music is a significant part of their life, it was most important that they share at least the music with us. I mean, we can’t give them everything, but we can give them the attention we don’t even deserve. 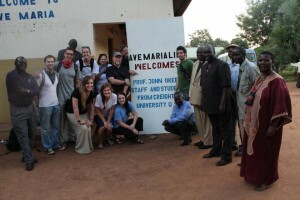 The group at Ave Maria Vocational School. Today we went to the Ave Maria Vocational School in Lira. We went with the intention of listening to a couple traditional African songs and dances, then getting a couple of interviews. But the thing about Uganda is that things never go as planned. As soon as we stepped out of the bus the students started singing, which meant whipping the cameras out as fast as possible. Any attempt to go over good shooting tips and talking multi-camera strategy with Tim went out the window. 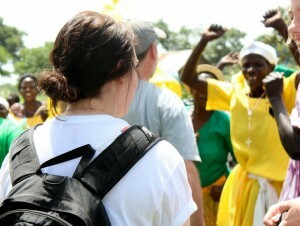 We arrived at about 9:30 a.m. and the students didn’t stop dancing until we needed to leave for lunch at 2 p.m. Lunch was a much needed break for the group so we could have time to reconvene and strategize. But of course things never go as planned. After lunch it was more singing, dancing and even skits were prepared for us – with no choice but to just go with it. John was made an elder (officially) of the Lango tribe and we all received gifts from all the other elders and the director of the school. And there’s nothing like ending the day planting a tree at the school (each of us) and drinking a cold one with the elders.